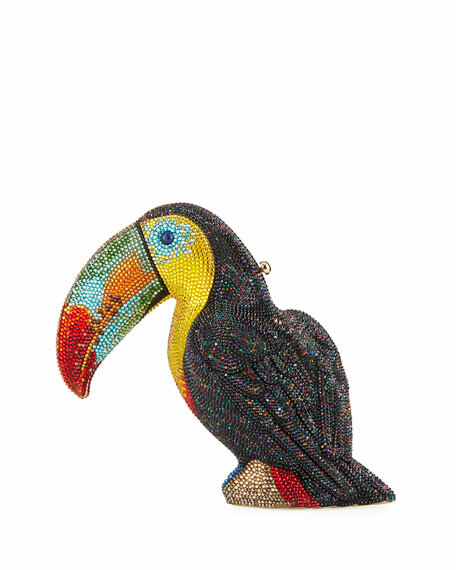 Judith Leiber Couture clutch bag in Toucan bird silhouette. Fully beaded in Austrian crystals. Removable chain shoulder strap, 8" drop. 7.1"H x 5.9"W x 4.3"D.
Begun in 1963, Judith Leiber is an American luxury brand that is synonymous with elegance, style, and sophistication. Each product is executed with meticulous attention to detail and flawless handcraftsmanship. 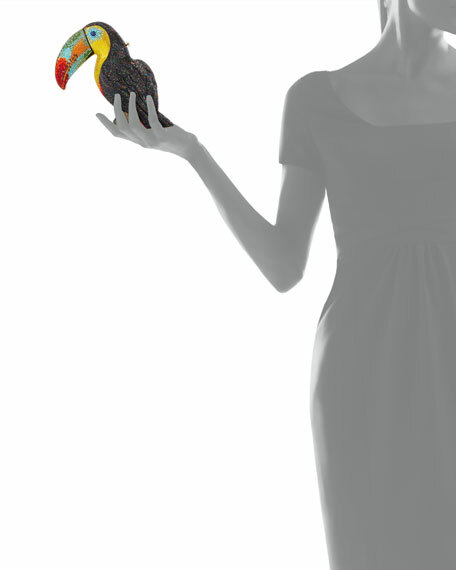 Miniaudierés from the collection are part of the permanent design collections at The Victoria and Albert Museum in London, The Metropolitan Museum of Art in New York, The Smithsonian Institute in Washington, The Houston Museum of Fine Arts and the Los Angeles Museum of Art. Adding to Hollywood's nearly 50-year love affair with the brand, nearly every First Lady dating back to 1953 has carried custom-made Judith Leiber bags to the U.S. Presidential Inauguration ceremonies. 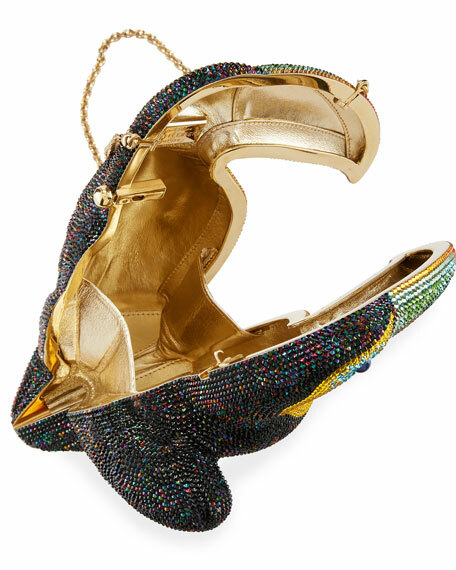 Judith Leiber is truly an iconic American brand.